In the last Cardboard Commentary, I mentioned that card collecting has gone global. Collectors are not limited by geography anymore - the world has opened up. A huge contributor to this has been the emergence of eBay. eBay gives collectors a way to buy and sell cards in a simple and effective way over the internet. It's so popular, in fact, that it is also used to help collectors determine the value of their cards... but we'll save that discussion for another time. Today I'll be talking about how I use eBay to find cards that I want. I'll be listing some tips that I hope you will find useful! Set the search to 'Newly Listed'. Often times the search tool on eBay is set to 'Best Match'. Now, I'm not sure what kind of fancy pants computer algorithm eBay uses to determine what the 'best match' is, but I feel that any filter or computer generated list of items would be incomplete. I tend to want to see ALL the available items that I search for. Using the 'Newly Listed' search, I am able to see the most recent additions to eBay. This is especially good finding great 'Buy it Now' deals. Sometimes sellers want to move their items as quickly as possible. If you're constantly looking at the newest items listed, you have a greater chance of snagging a great 'Buy it Now'. You could probably call me a crazy Logan Couture collector. If you take a look at my personal collection of Couture cards, you'll find quite a few unique pieces, including one-of-ones. The way that I found many of these cards has been to just search constantly - I'm talking many, many times a day. I always know which Couture cards have been newly listed because I'm constantly searching with my free time. This sounds crazy... but at the height of my Couture collecting days I would refresh my search every hour to see what new Couture cards came up. Download the eBay app for your phone. In order to stay on top of things, get the eBay app. With just a quick swipe downward, you can stay on top of all the newest items for whatever it is you're looking for. It could be your favorite player, a whale you've been searching for years for, or the newest cards that have just released. The card companies don't like this, but often times you can find cards on eBay before their scheduled release date. With the eBay app, I can constantly look for things wherever I'm at... no need to be tethered to my home computer. Be generic in your searches. When I try and find cards of Logan Couture, I just type 'Logan Couture' into the search tool. I don't care that there are posters, pucks, and all that other stuff in the list that shows up. I've gotten good at just ignoring things that I don't care for. You don't want to be too specific in your searches as you may miss something you want because a seller didn't give the item a title that matched your parameters. And actually, it's fun to just see all the items available. You can find some pretty fun stuff with a more generalized search. And if you're like me and search ALL THE TIME, a generalized search gets easier over time because looking a new stuff in the search will only constitute an hour or two's worth of new items to search through. Think uniquely for specific items. Sometimes to find the item you want, you'll have to employ some special searches to get the results you want. An example of this would be a Jason Arnott and Logan Couture jersey card. Some sellers would list this card as 'Couture/Arnott Jersey Card'. If they did that, anyone typing in 'Jason Arnott' or 'Logan Couture' WOULD NOT BE ABLE TO FIND THIS CARD because they searched for 'Jason' or 'Logan'. For cards with multiple players on it, keep in mind that sometimes sellers will only put last names in the title. It's really their loss because it makes it harder for potential buyers to find... but it helps those of us who take advantage of this to keep bidding wars to a minimum. Some other things to try are 'Sharks Quad' to find cards with four autos or memorabilia of the Sharks. You can even try purposefully misspelling words to find cards you want. When Ryane Clowe was still a Shark, I would type in 'Ryan Clowe' or 'Ryane Clow' and find cards of his. Sellers who are not careful with spelling can lose out on getting a higher sell price... but if you know these things, you can get a great deal because of an error. Take advantage of 'Best Offers'. I love seeing 'Buy it New/Best Offers'. If there is a card you want, immediately try and put in a best offer to the seller. I usually have a price in mind that I would be willing to pay, but I usually put in a best offer that is lower. If they take it... then great! If not, you can always try bargaining with them through eBay's counteroffer process. It's great because you can actively communicate with the seller while negotiating. A LOT of higher-end cards are now being listed this way. This is your chance to score that expensive card at a reasonable price. Use eSnipe or similar service. Some might think this is a bit shady... but I do employ eSnipe's services. For those who don't know, eSnipe is a site that will put a bid in for you at the very last second of an auction. Using eSnipe will prevent you from entering a bidding war and driving up the price of something you want. Basically, you enter the highest amount you'd be willing to pay, and eSnipe will put that bid in for you. The service is not free, but it doesn't cost that much... and in fact, it has saved me a lot of money by doing it. It also frees you from having to sit in front of the computer waiting for auctions to end. I love it! So there you have it, some of the things I do to help me be a successful buyer on eBay. I'm sure there are a lot more strategies out there. If you would like to share a great strategy with me, feel free to leave a comment in the comment's section! 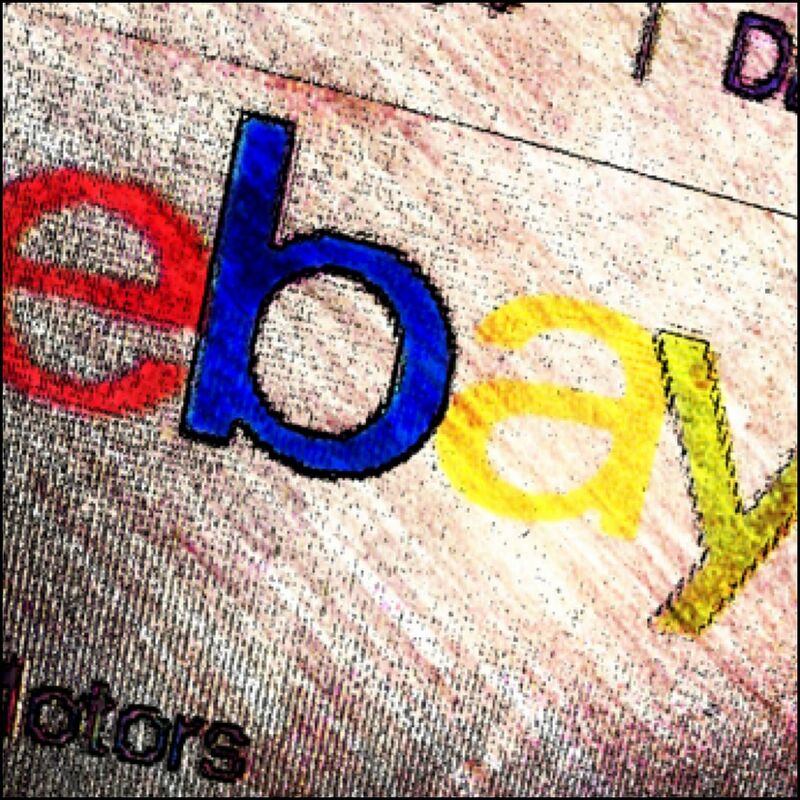 I'm always looking for ways to utilize eBay better! Would love it if eBay employed a system where if a bid is placed in the dying seconds of an auction, the auction is extended (5 minutes, 30 minutes, an hour) much like a real auction house, to stop people using snipers. If everyone is using a sniper, who wins? I've used a Best Offer twice now, with great success, with a 50% and 30% reduction in asking price respectively. Another thing I use is saved searches, an option you find on the advanced search screen. Save a search parameter and receive emails for newly listed items that match that search. good job on those buy it nows! and also, good suggestion with the saved search. i use that option too! as for sniping... i think if 2 ppl are using the sniping service on the same item, the person with the higher bid would win. i've definitely lost items i was trying to snipe because my sniping bid was too low. my guess is that if the bids were the same, the sniping service would give priority to whoever put in the bid earlier. as for extending auctions, that's interesting... but as a buyer, i wouldn't like that as it would drive up the price for many of the items i would want to buy. great for sellers though! Hey Luke! Thanks for another great commentary. I thought I'd give some of my methods and ways I have gotten some Gagner card. One key that has been quite effective for me is patience. Patience is a grand thing in life, haha. If you show that you are very interested and continuously hound the Ebay user, he/she will ask for a lot of money. But if you name your price, go no lower, and wait, good things can happen. Now, this can be risky which is why you must know you are the one who is paying a good amount and no one will buy for the Ebay user's asking price. Then, later, you make the same offer, and just see what happens..... This has worked for me twice in the past month. I ended up paying a lot less than I would have had too. If this is too risky for you, you can also reason with the Ebay user by saying something like "If you don't sell by this date, will you do this..." and so on. Like you, Luke, I love seeing "Buy it now or best offer." But what do you do when it is "Buy it now" and the price is too high? You may think that the seller will not budge when it comes to his/her price. I tend think otherwise. I message the seller and start a little bargain or give my price and my reasons for it. It may seem nosy, which is why I try to be as polite as possible. After all, it's Ebay... a dog eat dog world, or whatever the saying is. Usually the buyer does come down to a price I can reason with. From there on, you have some negotiating and you may just have a new card in your mail box that you would never think would ever come. Thanks for a great read, Luke!